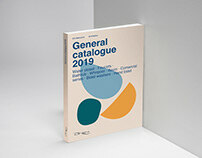 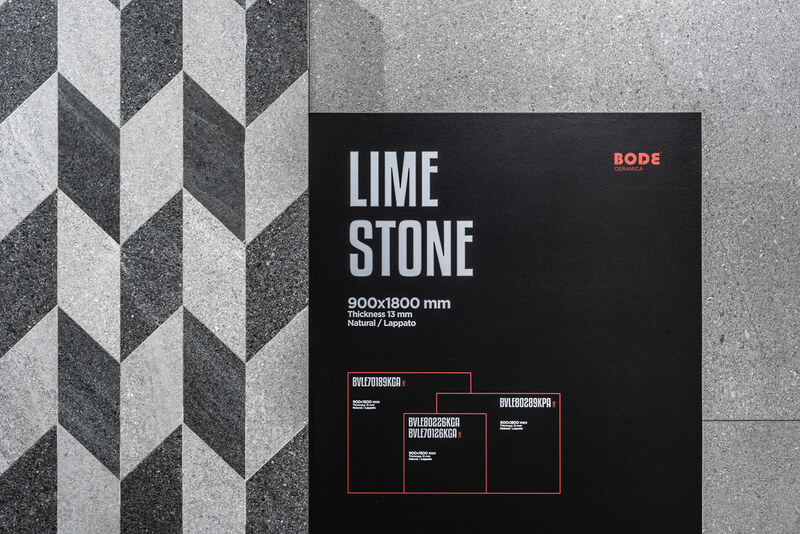 From the beginning, we defined some goals for Bode’s design: highlighting the product using their original sizes and exposing the wide range of Bode clearly and neatly. 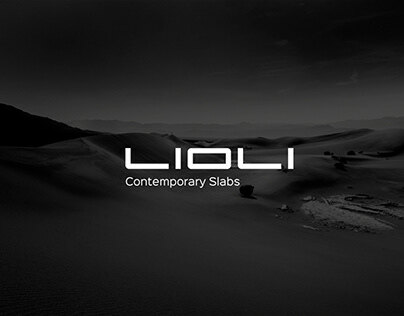 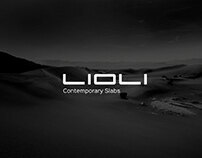 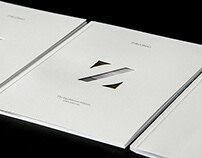 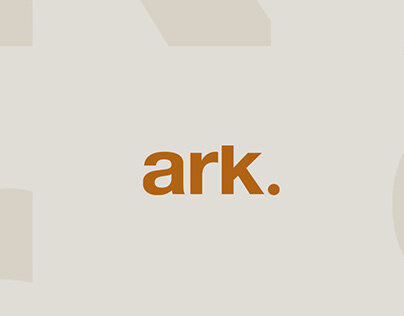 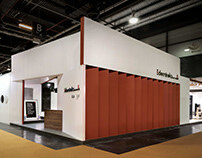 We conceived a structure composed by individual galleries with different highs. 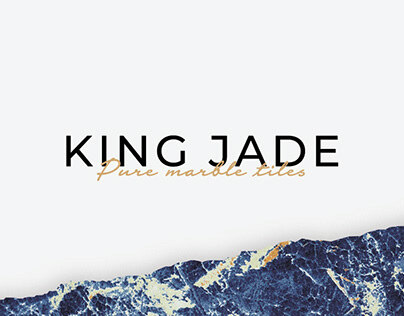 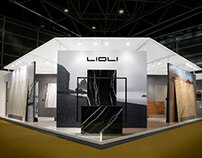 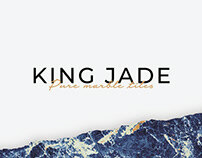 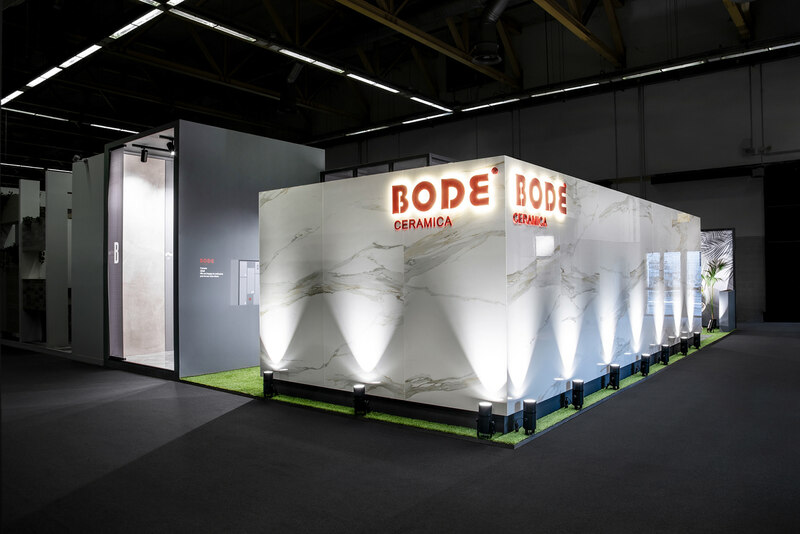 Spaces were connected in a strategic way and allow us to display all the stone & marble collections of Bode. The stand presented different routes options for the visitors that allow some flexibility for the space tour and also offer several point of view of each gallery. 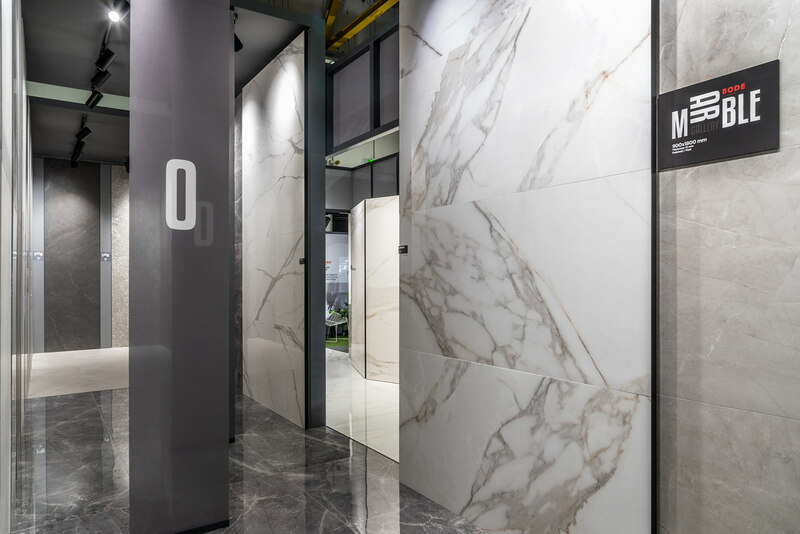 But at the same time, all the routes guide the visitor to visit all the spaces and discover in that way all Bode’s collections. 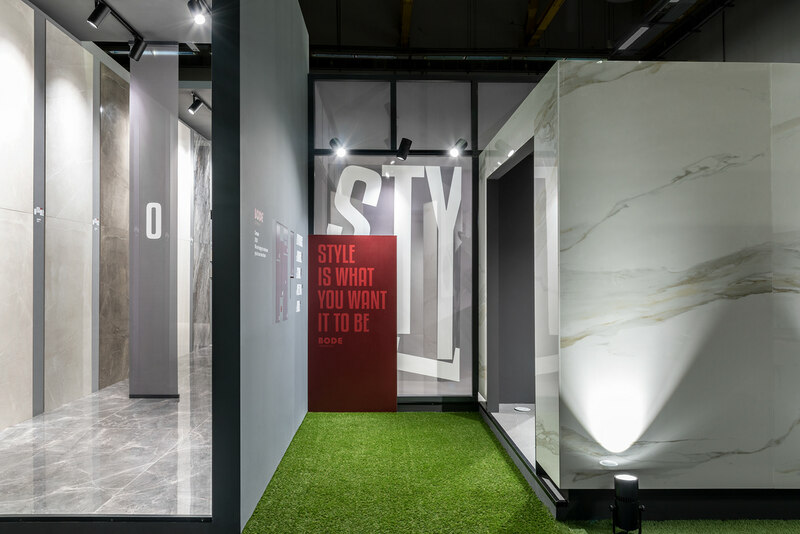 The first gallery, designed as a tunnel, was created to expose the marble highlights of the brand and their 90 x180 collections. And at the end of the tunnel we can found the stone collections of Bode. 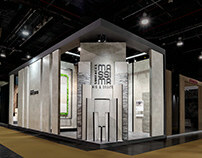 To enhance the different marble faces of 120 x 240 collections, we designed marble folding screens that works as a decorative element and also has a structural function connecting the first gallery, the tunnel, with the second: the meeting room. 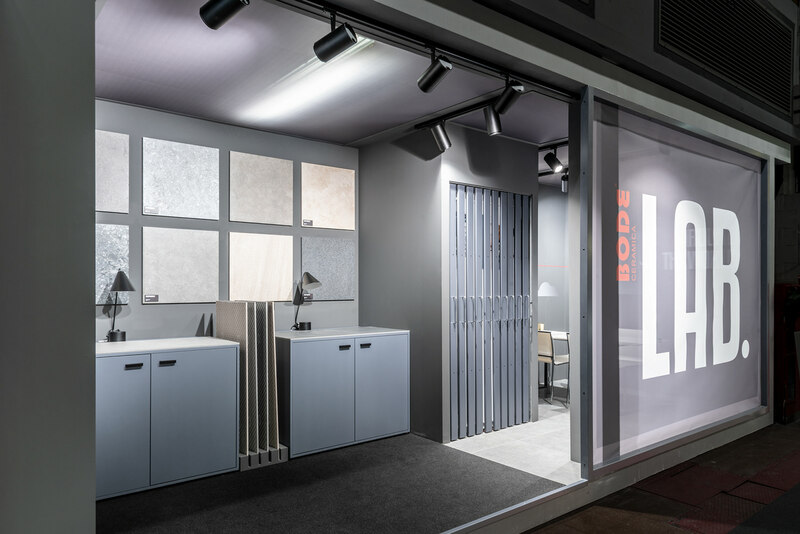 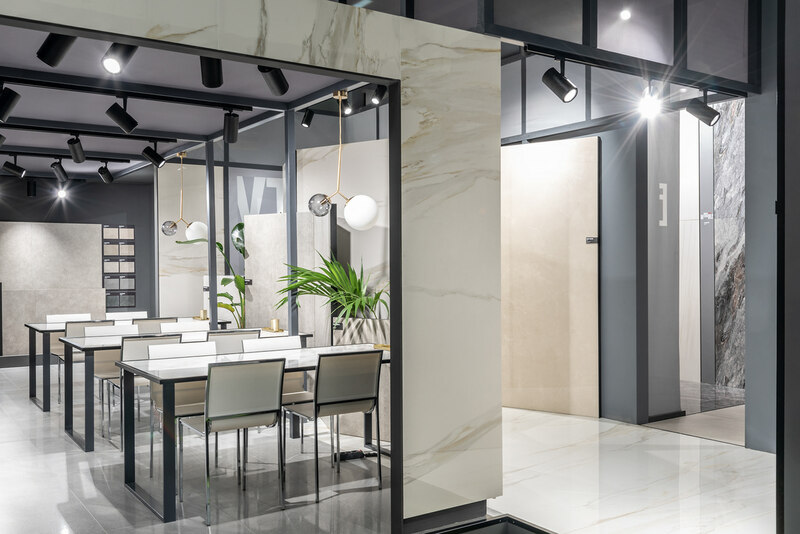 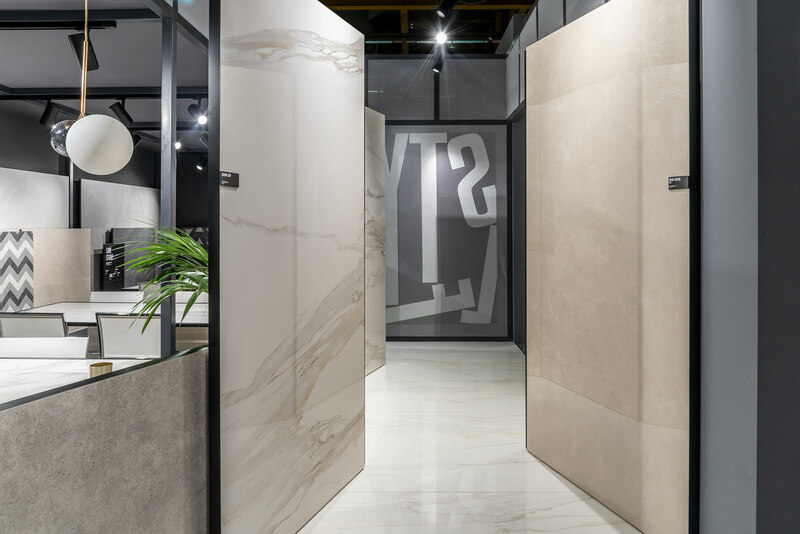 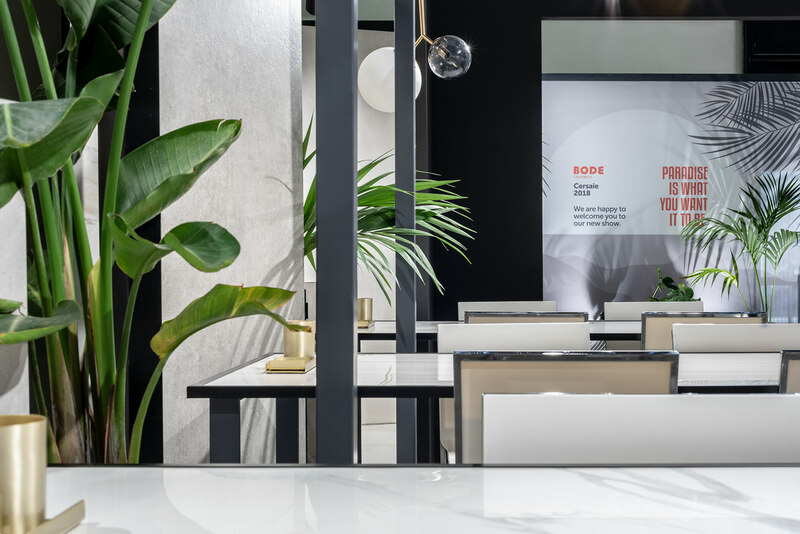 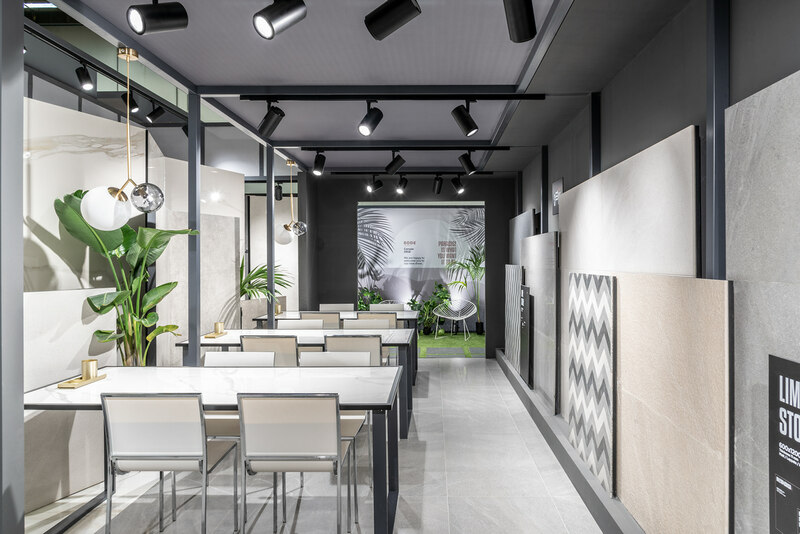 This second space is presented as a marble block and works, not only for meetings, but also as a display area for the stone collections of Bode. 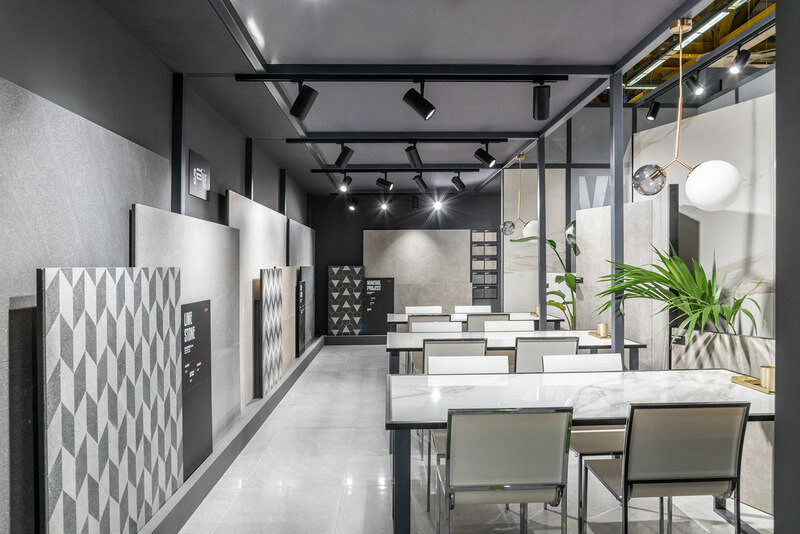 An adjacent area, named as Bode LAB, was designed for a private meeting area and for including exhibition system as technical panels for all the brand’s collections.